Mrs Macquaries Chair, also known as Lady Macquaries Chair, is an exposed rock located at the North-Eastern end of the Royal Botanic Garden in Sydney. This rock, shaped in the form of a bench, is an iconic landmark within the harbour area, with a history that dates back to 1810. 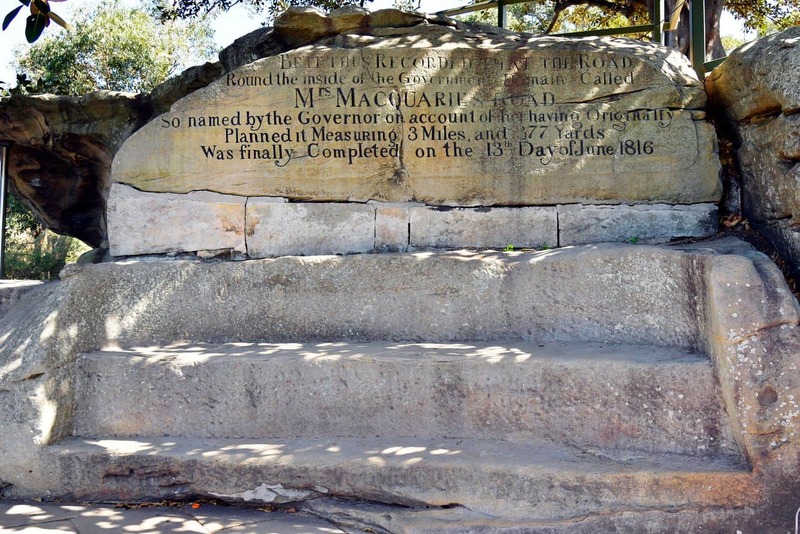 At the time it was cut, the rock was hand carved out of sandstone by convicts, and made for the then wife of Governor Macquarie. It comes as no surprise therefore, that the peninsula itself was named Mrs. Macquarie’s Point. The reason why the chair was designed was because the Governor’s wife would sit atop the rock and look out for ships docking at the harbour. According to folklore, this was one of her favourite places to enjoy the sweeping views of the harbour while looking out in the distance. A closer look at the chair reveals an inscription that makes mention of Mrs Macquarie’s Road. 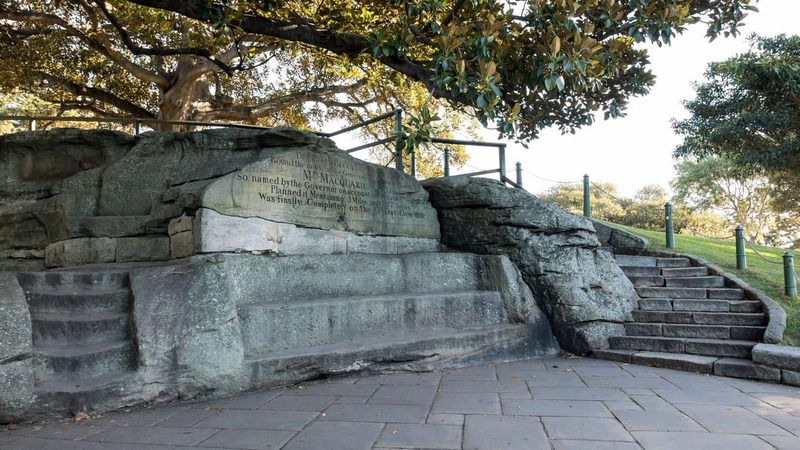 This is an important part of the chair’s history largely because this road linked Mrs Macquaries Point to the original Government House (which is present-day Museum of Sydney). This road was constructed to benefit the Governor’s wife. Today, there is hardly any remnant of this road, apart from a channel where the road passed above. Today, Mrs Macquaries Chair is a popular lookout point for excellent views of the Harbour and some of Sydney’s most iconic landmarks. Since the chair is located to the east of the Opera House, you can expect to get a good vantage point for some excellent photos. Other attractions that you should be able to spot; include the Navy Dockyards in the distance, Pinchgut Island. as well as Kirribilli House. Admission to this attraction is free of charge. To get to Mrs Macquaries Chair, take on the Sydney Explorer Route and get off at stop number 5. For anyone using train services, get off at Circular Quay. With bus services, alight at the Art Gallery and take an easy stroll to the rock chair. Paid parking is available nearby for motorists. 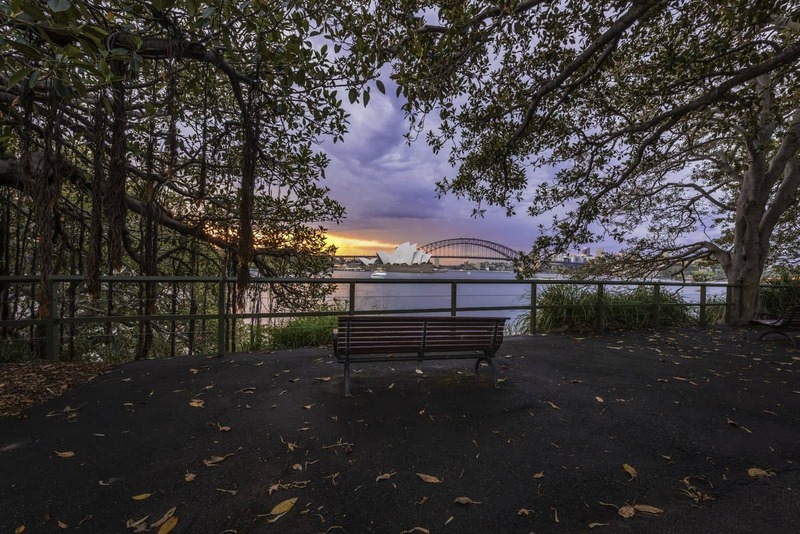 Mrs Macquaries Chair is one of Sydney’s perfect locations for postcard-worthy images.